A new poll by Forum Research, suggests that opinions of Prime Minister Trudeau have soured in the mind of citizens following the allegations of political interference in the judicial process,which hit the government recently. The poll comprised 1,301 randomly selected Canadian adults who were interviewed through an interactive telephone survey last week Wednesday and Thursday, 27th and 28th of February. This poll came immediately after former Justice Minister, Jody Wilson-Raybould’s gave her stunning testimony at the justice committee. 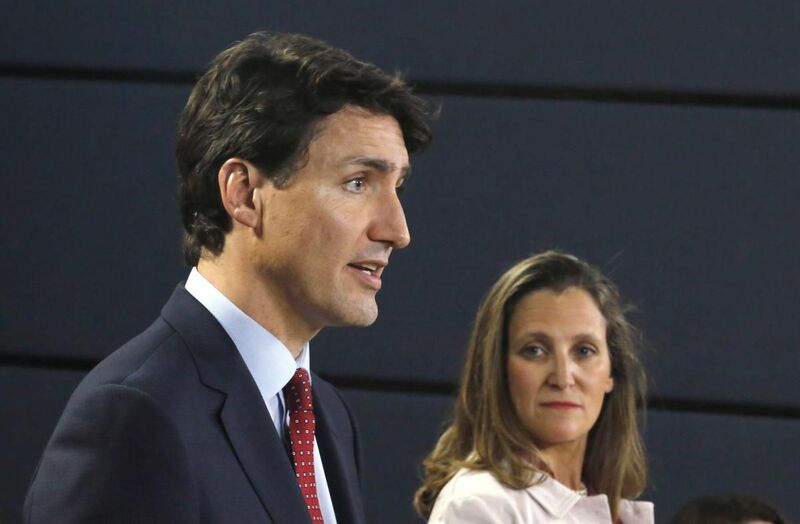 Wilson-Raybould had during her testimony, told the committee that she had to withstand four months of relentless pressure from Trudeau and other senior Liberal officials to reverse a decision not to make a plea-bargain-type deal with SNC-Lavalin. She said she also received veiled threats from the country’s top civil servant, Privy Council clerk Michael Wernick. According to the analysis of the polls on The Star, A majority of respondents at the poll (55%) said they could “confidently explain the situation related to the Prime Minister´s Office and SNC Lavalin," including 27 percent who said they can “very confidently” explain it. Meanwhile, 57 percent said the situation has "worsened" their opinion of Trudeau, versus 36 percent who said it has had "no effect" and 7 percent who said their view of the prime minister has been improved by the situation. Results of the poll are considered accurate +/- 3 percent, 19 times out of 20. The intense and seemingly never-ending SNC-Lavalin controversy all started on Feb. 19, 2015, when the RCMP laid corruption and fraud charges against Montreal-based engineering and construction firm SNC-Lavalin, it was alleged that the company used bribery to get government business deals in Libya. SNC-Lavalin replied that the charges are without merit and stem from "alleged reprehensible deeds by former employees who left the company long ago." These allegations were really serious for SNC-Lavalin as a conviction could stop them from bidding on Canadian government business, potentially destroying them. However, later that same year, the Liberals won a federal election and Prime Minister Justin Trudeau took over power from the conservatives. He appointed Jody Wilson-Raybould as the minister of justice and attorney general of Canada.In January 2019, Wilson-Raybould was reassigned by Trudeau to the Veteran Affairs Department, a move which many people saw as a demotion. Trouble started Feb. 7, when the Globe and Mail reported that officials in the Prime Minister’s Office pressured the former Justice Minister to intervene in the criminal prosecution of SNC-Lavalin to strike a mediation deal with the global engineering and construction giant that is based in Montreal. Trudeau and his office have repeatedly denied there was inappropriate pressure. Events are still unfolding and maybe over the next couple of weeks, Trudeau could make his own side of the story clearer to the people and maybe that would improve his chances in the October polls.